RUSH: Mac in Ithaca. Great to have you. It says you’re 27. Is that what…? Twenty-seven years old? Is that what number means here on your screen? CALLER: Yeah, that’s right. I’m 27. Yep. RUSH: Great to have you on the program. How you doing? CALLER: Oh, I’m doing great. How are you, Rush? RUSH: Fine and dandy. Great to have you here. CALLER: Yeah. Um, well, I listen to you every day on my way home from work. Uh, actually, I listen to the talk — talk news pretty much all day, and I love listening to you guys that I pretty much disagree with you on everything. I’m a leftist. So, um, I just wanted to… The other caller said, like, you can never — never win an arg… Well, he said “liberal,” but I — I assume he meant leftists in general. So, uhh, I just wanted to call in and say, like, we try to be reasonable. Ha! Ha! RUSH: You listen to this program on the way home from work so you’re on the way home from work now? RUSH: My question, if you listen, say, to this program or to F. Lee, how can you — how have you — remained a leftist? RUSH: How has this happened? RUSH: Well, what would be the solution to market fluctuations? You think they shouldn’t fluctuate then? CALLER: It’s not that they can’t fluctuate at all, but, personally, I think that we should tax capital or… Yeah, pretty much taxing capital I think would probably be the way to do it. CALLER: I know. Yeah. But I don’t think we should have any other taxes. I just think that we should only tax capital. RUSH: Why? To solve what? What problem? CALLER: Um, well, I think, like, people who work really hard should get ahead, right? I know a lot of people that work really hard, but they don’t get ahead. RUSH: What do their…? What do they do for a living? CALLER: Construction, a lot of ’em. 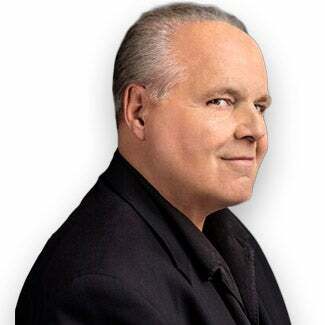 RUSH: — left-wing owners, and they’re limited by what the left-wing union contract negotiation was, and they can’t earn anything more than what the negotiation called for. CALLER: You think getting rid of the unions would help those workers out? RUSH: Well, let me put something to you. RUSH: Okay, good. We’ll be back. We’ll continue this after the commercial. CALLER: Yeah. I’m definitely not a liberal. Leftist. Yep. RUSH: Look, I’ll accept your diversion here, but I want to get back to my point. I don’t have a whole lot of time here, and I really want to try to make a point with you. RUSH: Can you cite for me — and don’t misread my tone. I’m not being contentious. I genuinely am trying to learn the way you think. Can you cite for me anywhere in the world where a noncapitalist form of government has created wealth and plenty for the majority of the population? Or the opportunity for wealth and plenty. Can you cite for me that country where it exists? CALLER: Well, Japan did really well after World War II with MacArthur. That wasn’t really capitalism. RUSH: Wasn’t kind of sustainable, though, was it? ‘Cause where are they now? RUSH: Yeah. They’re in massive debt. RUSH: Japan Inc. came together. They had a combination of business and government that didn’t quite solve the problem, ended up in massive debt. Point is, you can’t find a country on earth with a higher standard of living. You can’t find a country higher than America. You can’t find a place on earth where the opportunity to grow your standard of living, as an individual, is greater than the United States of America. Capitalism may not be perfect, but it’s better than anything else that’s out there. CALLER: That’s true, but I think we might be flying a little close to the sun, you know what I’m saying? RUSH: Now you sound like Algore. CALLER: Like maybe we should tone it down a little bit. RUSH: How do you tone it down? What do you want to do, regulate the hell out of it? RUSH: Your problem is, you’re focusing on punishing achievement rather than trying to figure out a way for people to achieve. Punishing achievement isn’t gonna help anybody. Trying to equalize people by lowering the people at the top, that’s not good. All that is is punitive. Why don’t you find a way to elevate people at the bottom? Which takes me back to your union question. Unions are fine, I mean, if you want to join a union, but you better understand what you’re doing. If you join a union, you are automatically sacrificing your individuality for the collective, collective bargaining. Now, if you want to be a construction worker and if that’s what you want to do, you know going in what the ramifications and the parameters are. It’s not fair to say you’re being mistreated by whoever when you knew going in what you were gonna get paid. If you don’t want to join a union, you’re gonna have much more opportunity for individual expansion, individual expression of talent and achievement. But when you go to work at a place where salaries are predetermined not by your productivity and not by your talent and not by how much you work, but rather by what the union contract is, you’re locked into that no matter how good a job you do. The only option you have is overtime to make more than what standard pay is. That’s fine. We need systems to accommodate all kinds of levels of ambition. And people want to work in construction, if that’s unionized, fine, that’s what it is. It’s like teachers. I often hear that it’s unfair that athletes should make what they make versus teachers, because who’s more important. But that’s not how the market works. Markets don’t sign things. You know what you’re worth is what somebody will pay you. It’s not some arbitrary — the purpose of a company is not to create jobs and health care. That’s not why they exist. And it’s not to create fairness or any of that. That’s not why people form businesses and try to sell a service or a product. RUSH: Mac, let me tell you something. CALLER: — and some people — yeah? Uh-huh? RUSH: — more than you have. I’m 66 and you’re 27. I’m gonna tell you something that’s truthful. You think we’re facing ruin now. There have been times in the past where things have been much better and opportunities have been greater. What you don’t understand is why it was better in the past and why it seems to be fledgling right now. We are under the stifling regulation and taxes of a predominantly left-wing type of thinking and philosophy. The eight years of Barack Obama have shrouded this country in punitive regulations. We haven’t had economic growth higher than one and a half percent for the last eight or nine years, and that was done on purpose. There have been robust times in the past, and, by the way, there are a lot of people right now that are doing well and are growing. But I agree with you, it ought to be much better. There needs to be an economic revival. But your way of doing it is what we have been doing the last eight years. We have been trying to equalize it. We have been trying to take the rough edges off capitalism. Obama has been trying or was trying to transform the country away from the way it was founded, and it is causing misery, and it is causing a lack of optimism about the future. It’s resulted in massive student debt, worthless college degrees, no job opportunities. That’s what the election of Trump was all about, is trying to reverse the trend that we’re in that you spot. You’re just too young to know why we’re in this current state of stagnation. RUSH: Trust me on this. We’re out of time here, frustratingly so. But you’ve been lied to by people who have been educating you about that. The 1980s were one of the robust periods of economic growth that sustained all the way through the nineties and into the early 2000s ’til the recession. Don’t doubt me. RUSH: So young Mac thinks the eighties we were close to ruin, but he wasn’t alive then, so why does he think that, do you wonder? Hello, education system. Capitalism, the only system of economics that allows for upward mobility. There’s no other system that does that. RUSH: You know, our call with the 27-year-old young man from Ithaca, Mac, makes me long for the days where people like that called in frequently. Some of the most invigorating and rewarding exchanges on this program are when young people call in and you have a chance to make inroads in how they’ve been taught and what they have been led to believe. Where Mac was coming from is classic. It’s classic Marxism. I don’t know if he’s aware of that; it doesn’t matter if he’s up to speed on that or not. It’s the substance of it that is of importance. Here’s a man, 27 years old, and he’s a nice guy, and he identified as a “leftist” and wants to be called a leftist, and he thinks the 1980s saw the United States near ruin! He wasn’t even alive then. So he only knows of the 1980s what he’s been told and maybe what he’s seen in movies and television shows. There’s no way that he could understand that the 1980s led to one of the greatest 20-year economic booms this country has ever seen. He doesn’t know it because the left cannot allow for that to be realized. Well, it did! Trickle-down economics is economics! That’s exactly what commerce is. It isn’t taught that way, of course. Remember back in the nineties, a bunch of Democrats decided to tax luxury items, including yachts? They figured it was not fair that some people could afford yachts, and so since they could, they said, “We’re gonna tax the hell out of yachts at the point of sale, ’cause it’s not fair. We need to collect revenue from all this!” What happened was that the people who actually build the yachts lost their jobs because people stopped buying them. Which meant that there was no need for yacht builders. But on paper, man, it really looked compassionate! We were gonna punish those yacht purchasers because they had the money and it wasn’t fair, and that somehow was gonna benefit everybody. Somehow, taking money away from people is seen as the magic elixir, isn’t it? The left thinks the more we take money away from people, the better off people are gonna be. The math doesn’t work out. They tell young people that trickle-down economics doesn’t work because the poor never see any benefit. The rich get all the tax cuts, and then they hoard the money and they keep the money and they do nothing but get richer with it. And, of course, no greater distortion of what happened in the eighties could be than that. Here’s why it works. Marxism has, since its outset, been built on the very real disparity that exists not just in capitalism, but everywhere. There’s disparity everywhere! People are different. People earn different amounts of money. People have different standards of living. People have more possessions than others, different kinds of possessions. People have different material lives than other people do. Marxism capitalized on this disparity by calling it immoral and unfair. It was not fair, not right that some should have so much and others shouldn’t, and the disparity (with young, impressionable minds) works every time it’s tried because it’s rooted in the idea of fairness — or unfairness, depending on how you choose to look at it. And since the United States has always been a capitalist system this disparity — this inequality, this lack of sameness, this lack of fairness — has been blamed on capitalism. The very system under which people live! When, in fact, the disparities that exist in any culture exist because of the differences in people. There are differences in ambition. There are differences in capabilities. There are differences in intelligence. No two human beings are the same because no two souls are the same. No two human beings have the identical skill set. Never will. Never have. These disparities are as much a part of nature and creation as is anything else. But the Marxists have come along, and they have taken these disparities and have attached them as existing solely because of the unfair nature of capitalism, which captivates young minds because it is unfair that there’s such great disparity. We shouldn’t have so much disparity. People shouldn’t have so much more than others. Once the Marxists — in the form of professors and teachers and moviemakers. Once they have young skulls full of mush ensnared on this premise, they pretty much own them. You never have to succeed in equalizing things primarily because you can’t. Like I asked Mac, “Can you point to anyplace in the world where life is better? Can you point to anyplace in the world where there’s more opportunity? Can you point to anyplace in the world where there’s a greater opportunity for you to live your dream than the United States?” There’s an immediate no-answer to that because that’s not the way it’s taught nor looked at. The United States is taught/portrayed as a very punitive place and very discriminating place and unfair place. Elsewhere, like Cuba, is said to have “the best health care system in the world — and China! “Look at all the railroads and look at all the sameness and the lack of disparity.” The only way you can have a lack of disparity is if most people are equally miserable, because there is no system that mandates — that can offer and deliver — mass prosperity to the tune these people are talking about it. Because people are different. It’s not capitalism that creates these differences; it’s freedom. Capitalism is rooted in freedom, market economics and freedom. You have the freedom to join the union and accept the terms. You have the freedom to say, “You know what? I don’t want to join a union. I want to be the owner of the construction company. I don’t want to join a union; I want to own the radio station!” Or “I didn’t want to make movies.” Whatever you want to do in the United States — if you’ve got the ambition, if you’ve got the drive, and if you have the desire — you can do. Desire, I believe, is 80% of achieving anything. If you have that, this is the one place in the world where you can pursue it. Whether you get it? There are a lot of factors involved. Nothing is guaranteed except the opportunity to make the most of life — and we’re all going to encounter different obstacles. Everybody’s gonna encounter somebody who’s got more connections than you do. Everybody’s gonna encounter somebody that has more of something than you do. You’re gonna encounter mean people. You’re going to encounter people that will try to undermine you. At the same time, you’re gonna run into people that want to help you. You’re gonna run into people that will be great mentors. You’re gonna run into all kinds, which is what opportunity is. Socialism, leftism takes all of that away — and claims to also take the risk away. And when the risk is removed, there’s no pain, right? And since there’s no risk and no pain, if you’re no different than anybody else, or if you’re only marginally different, then the way you end up is considered okay because everybody’s that way. Socialism, communism, literally kills the lifeblood of opportunity and energy and creativity because there is no outlet for it, and yet all of those things are a natural part of the human existence, desire, ambition, energy, creation. We all have those things in different amounts, different allocations. And they change. The real issue, when you’re looking at disparity — and, remember, disparity is how the left hooks gullible young people. I guarantee you why he thinks the eighties were a period of time of the United States being close to ruin. I know exactly why he thinks that, because of what he’s been told about it. It was the era of homelessness and AIDS and wealth ought the wazoo for a select few, stock market, what have you. Now, disparity, while it’s the hook that attracts young, gullible people — and not just young. The real measure of any economic system, the real measure of any organizing governmental system is a survey of the vast majority of the people in a society. And the United States of America wins that hands down and has since the beginning of our creation, founding. The United States of America has seen the vast majority of our population living well, defined as the standard of living. It’s not about whether some have more than others, because that’s always gonna be the case, even in communism! Especially in communism. Especially in socialism. Socialism and communism are set up so that a select few elite get most of everything and the rest of society is equally miserable in poverty and oppression. So if you can be in the ruling party elite, socialism, communism, you’ve got it made. That’s less than one half of one-tenth a percent of the population in those countries. In the United States, the vast number of people are living well. It isn’t whether some have more than others. It’s how is the economic system for everybody? People in the United States of America today, even after eight years of Barack Hussein O, people in the United States of America today live better than people ever have. The poor in this country would be considered affluent in most poor and poverty ravaged regions of this world. The poor in this country have a car, air-conditioning, a TV and cell phone. Many of them don’t even have to work because the welfare state provides so much. The standard of living, the quality of life in the United States of America is better, the people who live here live better than people ever have, and it’s one of the reasons why so many of us get literally mad when we listen to the complaints about life in America and what it’s like, because there’s no other place like this country for providing not just opportunity and not just quality. The United States of America provides the freedom, I should say permits, allows, does not constrain the freedom that we’re all born with that allows each of us to pursue whatever it is that we define as a quality of life. Access to quality-of-life services, access to quality-of-life products is unparalleled in the United States of America. Most societies — this is what American exceptionalism really is when you get right down to it. Most people in most countries don’t have anything approaching — I’m talking about — there are always gonna be wealthy and rich people in every country you go to. I’m not talking about them. I’m not talking about disparity. I’m talking about the population at large, there is no country on earth where the population at large lives anywhere nearly as well as the population of the United States. Most countries feature societies of populations of people that just barely get by. Socialism, leftism, liberalism not only doesn’t respect the unique abilities of free people; it attempts to quash them and to eliminate them. Because it’s unfair not only to have more than somebody else, it’s unfair to be better than anybody else at whatever you do. That’s not fair. So we define everything down to the lowest common denominator. We take the people at the top, bring ’em down to people at the bottom and say that’s equality. 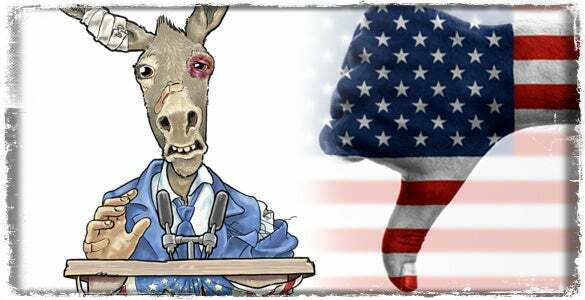 We punish achievement if liberalism and leftism rules the day. But capitalism is where the respect for unique abilities and freedom resides.